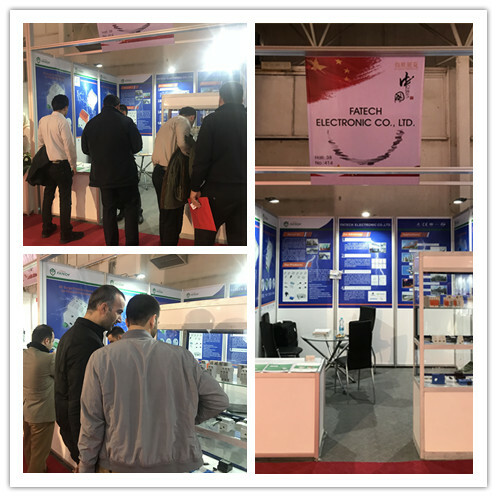 ﻿ FATECH TRIUMPHANT RETURN FROM IEE(Iran Electricity Exhibition) - Comany News - Fatech Electronic CO., LTD.
From November 1 to 5, 2018, Fatech Electronic Team participated in the IEE exhibition held in Iran and achieved great success. Iran Electricity Exhibition is an annual exhibition sponsored by Iran's Ministry of Energy. It is currently the largest and most influential exhibition in Iran and the six largest power exhibitions in the world. At present, Iran has 80,000 kilometers of power transmission lines. With the continuous growth of consumption, power production and transportation facilities are also developing. Fatech Electronic introduced a series of new products at the exhibition, such as Class A surge Protector, Intelligent Lightning Counter and so on, and conducted in-depth cooperation with local agents. Although the current year is a difficult one for Iran, both local agents and Fatech are hopeful of future blowout development.